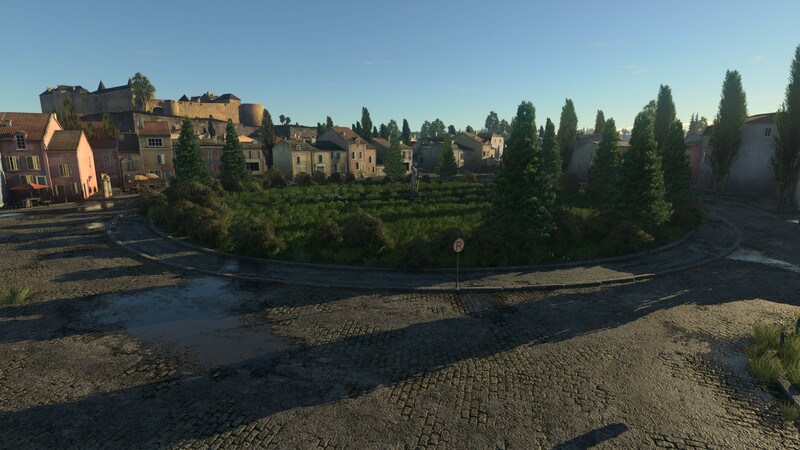 Update 1.77 "Advancing Storm"(changelog) was introduced on 14 March 2018. 2.11 Changes specific to the PlayStation®4 platform. A bug where the aircraft could not reach its maximum overload at medium speed has been fixed. A bug causing allied aircraft markers in combined RB to not be displayed has been fixed. 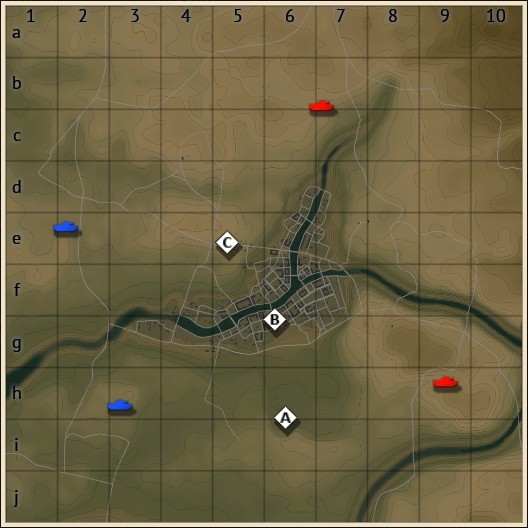 A bug causing the icon for air strikes in ground vehicles AB to appear as the colour black has been fixed (source). Performance on MacOS has been improved. In lobby mode for aircraft in SB (all mission types), bombers will now use a deferred reward system (a player will receive only a part of the reward for active actions in a battle, the remainder will be allocated on successful landing or when the mission ends with the player in the air). Previously, this system of reward was only used for missions in “Enduring Confrontation”. Spitfire (all variants) - Flight stability and yaw controls in AB have been improved. Seafire (all variants) - Flight stability and yaw controls in AB have been improved. Bf 109-E4/E7 - A bug which would cause lower boost during WEP engine mode has been fixed. Typhoon (all variants) - The acceleration of the engine’s RPM has been corrected and now accelerates evenly. A bug where an explosion from artillery shells near a ground vehicle created high-frequency noise has been fixed. The sound of dropped empty casings in vehicles with recoilless rifles has been fixed (source). A bug where the Ho-204 had no sound after first shot has been fixed (source). A bug where the sounds of firing from AAA in other players vehicles was missing has been fixed (source). A bug where full screen mode and minimising the client caused music compositions to restart from the beginning has been fixed. A bug where it was possible that the sound effects could reduce performance on PCs with lower specifications has been fixed (source). Т-64B — 3OF26 HE shell has been added to the researchable ammunition loadout. 3BK12M HEATFS-shell which was obsolete for the T-64B in 1984 has been changed to 3BK18M which was put into service in 1980. Fire rate has been changed from 12 to 9 shots per minute (from 5 to 6.7 seconds per round). Note - Previous fire rate was set by lack of accurate information about reloading in the Leopard 2K cannon. Analysis of statistics has shown that the chosen fire rate was superfluous and it was decided to increase reload time based on the known values of the reloading time of tanks with 120mm cannons and similar ammunition placement. BR for all game modes has been changed from 8.7 to 9.0. A13 (all), Crusader Mk.III, AEC MK.II AA, Ferdinand, Coelian, Ostwind, Crusader AA Mk.II, M22, BM-8-24, Т-28, Т-28E, Chieftain Mk.5 — The order in which ammunition is used has been clarified. Chieftain Mk.10 — The number of shells in the first-order ammo rack has been changed from 3 to 18..
M48A1, M60, M103 - The thickness of the rangefinder armour (based on the thickness of the M47 armour) has been changed to 16mm. Tortoise, E-100, Maus - The thickness of the material of the breech has been changed from 60 to 300 mm. AMX-30 - The bug with incorrect armour thickness of the turret mantlet has been fixed. The thickness has been changed from 20 to 41.5 mm. Sd.Kfz.234/2, Sd.Kfz.234/4 - The type of material for the chassis elements has been changed to ”Structural steel”. AMX-30, AMX-30 (1972) - Engine power has been changed from 700 to 720 horsepower. Source: AFV Weapons Profile No. 63: AMX-30 Battle Tank. - R. M. Ogorkiewicz // Kampfpanzer. Die Entwicklungen der Nachkriegszeit - Rolf Hilmes. Т-64А - Ammunition for the paired machine gun has been changed from 2500 to 2000 rounds. Source: Т-64А - Technical Description and manual instructions. M24, M24 TL, M24 (SDF) - Crew count has been changed from 4 to 5 members. Upper frontal plate: 63.5 ->50.8 mm. Lower frontal plate: 63.5 ->50.8 mm. 5cm Pzgr.39 (5cm Kw.K.38 /Kw.K.39) — The explosive mass has been changed from 27 to 17 grams. Source: Merkblatt geheim 28/1: Zusammenstellung der Explosivstoffgewichte für deutsche Munition (zu H.Dv. 450 Rdnr. 46). 10.5cm Pzgr.Rot (10.5cm K.18) - The explosive mass has been changed from 210 to 250 grams. Source: DV460/10 Ringbuch für Sprengladungen Band vom 26-10-42. 8.8cm Pzgr. (8.8 cm Kw.K.36 / Flak.37) - The type of the explosive mass has been changed from “TNT” to “Fp.10+Np.10”. Source: D.460-10 Ringbuch fuer Sprengladungen Band I vom 26-10-42. 7.5cm Sprgr.34 (Kw.K.40 L/43/L48, PaK.40, Stu.K.40 L/43/L48) - The type of the explosive mass has been changed from “Fp.60/40” to “Fp.02”. For the cannons Kw.K.40 L/43/L48, PaK.40, Stu.K.40 L/43/L48 the initial speed has been changed to 550 m/sec. Source: D435-1 Handbuch Die Munition der deutschen Geschutze und Werfer 28.12.1940 // D460-1 bis D460-2 Geschossringbuch Band I-III // Dokumentation W 127: Datenblätter für Heeres-Waffen, Fahrzeuge, Gerät, 1976. 8.8cm Sprgr.L4/5 (all 8.8 cm cannons) - The type of the explosive mass has been changed from “Fp.60/40” to “Fp.02”. The explosive mass has been changed from 935 to 698 grams. The mass has been changed from 10.6 to 9 kg. Sources: D.460-10 Ringbuch fuer Sprengladungen Band I vom 26.10.42 // H.Dv.481-60 Merkblatt fuer die Munition der 88 cm Kampfwagenkanone 36. 40mm Mk.II HE (40mm Bofors) - The type and mass of the explosives has been changed from 25 grams of “Tetryl” to 63 grams of “TNT”. Sources: Catalogue of Standard Ordnance Items, Second Edition, 1944. The engine has received maximum boost up to 70” (wep). Maximum speed has been increased to 714 kmh (444 mph) at an altitude of 7071m. Geometric data has been refined. Aerodynamic characteristics of the wing, fuselage and tail surfaces have been adjusted. Mach polars have been tuned. The fuel load, weapon load now affect aircraft performance more accurately. Maximum speed values have been updated: The Maximum speeds for operation of mechanical aspects on the chassis, engine working modes updated. Braking force has been increased. Fuel consumption for different engine working modes has been adjusted. Thermodynamics has been updated. Now the efficiency of cooling depends on the speed of the incoming air flow. WEP is now available only on the second stage of the compressor. ( Upon landing on a water surface, the aircraft will still be able to stay afloat for some time. P-47M — A bug where it was impossible to hold the flight direction at maximum speeds when using mouse aim controller has been rectified. A bug where ripples appeared on objects viewed through telescopic sights on planes with a telescopic sight when TAA smoothing was turned on has been fixed. Progress for Battle Tasks is now shown in the debriefing window. Progress for Special Battle Tasks can now be tracked on the “Battle Tasks” button. MD.450B Ouragan/Barougan, DH-112 Venom FB.4, Sea Venom FAW.20, DH-100 Vampire FB.5, Supermarine Attacker FB.1, R2Y2 (all) - The dependence on thrust required for varying engine speeds has been corrected. Thrust for low engine speeds has been increased. 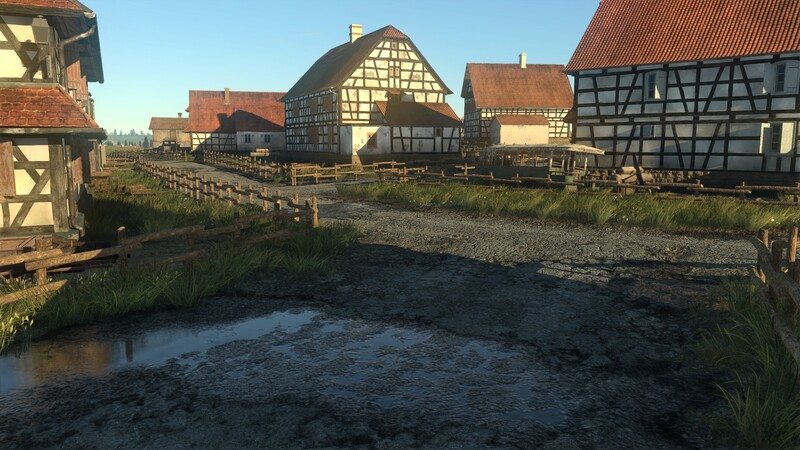 A new EC mission, “Sector of Montmedy”, has been added. For more information regarding these changes, please refer to the relevant Development Blog article. In “Ground Strike (light vehicles)” Arcade Battle missions, the altitude of bomber spawn locations has been changed. Now bombers will respawn 700 meters above the fighters (previously the excess was 2 km). Ordinary “Ground Strike” missions have been not changed. In the mission “[Operation] Malta” some changes were made to increase the mission time to average values - new units have been added for both teams and the existing units were regrouped. The capturing speed of the zone in the “Enduring Confrontation” mode has been increased. Now the zone will be fully captured in 300 seconds (was 450). A bug where the damaged barrels of the automatic cannons could be displayed incorrectly in X-ray has been fixed. A bug where there was a jitter of decorations by rotating the turret has been fixed. A bug where in some rare cases, first generation ATGMs would not correctly follow the control commands has been fixed. UGST: From 10 to 5,5 km. Mk48: From 12 to 6 km. Spearfish: From 12 to 5 km. The range of capturing for torpedoes with homing heads in the active mode has been changed from 2,4-1,6 km (depending on the type of target) to 600-700 m.
The acoustic visibility of all submarines at maximum speed has been reduced. Sector scanning for torpedoes with homing heads on horizontal has been changed from 360° to 120° (for active mode for torpedoes with homing heads) and to 150° (for passive mode). The model has been completely updated taking into account the latest requirements for FM and all its features. The aerodynamic characteristics of the wing, fuselage and tail surfaces have been adjusted. Maximum speed values have been updated: The maximum operational speeds for the mechanical aspects on the frame and engine working modes have been updated. The propeller has been fully recalculated and remodeled. Acceleration dynamics in horizontal flight has been improved (especially at higher altitudes). Landing gear shock-absorber performance updated. A bug relating to unresearched vehicle modifications, where the parameters indicating the improvements that respective modifications would bring would show negative values, as opposed to positive values, has been fixed. A bug which would lead to the incorrect display of messages regarding gun unavailability has been fixed. A bug which could cause reload times to be different from the values indicated in the vehicle card has been fixed. A sound engine bug which affected the client’s stability has been fixed. Global reverberation, which was previously deactivated, has now been reactivated. The audio for ground vehicle automatic cannons has been refined. The reverberating tail sounds of all ground vehicle shots have been refined. A bug where in some rare cases. the “Show content in the battle” setting (responsible toggling the display of historical/non historical content or camouflages etc) not being shown in the options menu has been fixed. Damage from exploding aircraft fuel tanks has been switched off in AB for ground vehicles. The general sound effect has been changed in reducing the sharpness of some sounds. Engine volume of allied aircraft and enemy aircraft has been reduced. Engine volume of aircraft in 3rd person view has been increased. The sudden cutting of some sounds has been fixed. The algorithm of frequency filling of reverberation tails with sounds of shots depending on the surface and buildings has been changed. A new type of air zone capture mechanic in the mission “Air supremacy” has been introduced: now, if both teams are in the zone, the capture progress will not reset. Instead, the capture progress will be continued for whichever team has more vehicles in the zone, and when an equal amount of vehicles for each team is in the capture zone, capture progress will not move either way. The mechanism which generates new tasks will now refrain from allowing the same type of task starting several times in a row. 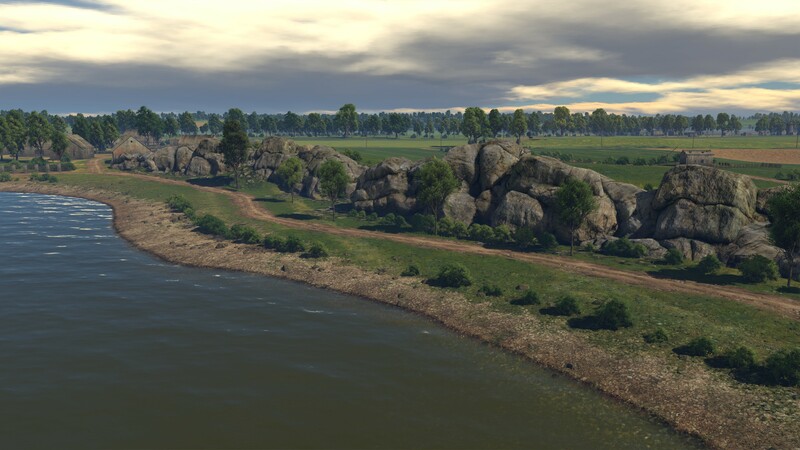 All known issues with the unevenness of the landscape of airfields on both Enduring Confrontation missions on the location “Zhengzhou” have been fixed. Additional visuals for sectors on the mission map have been added. Sectors that don’t participate in the formation of the front line (because they are impassable for troops and battles can not be generated on them) are now outlined in white. These sectors are now present at the locations “Zhengzhou” and “Sicily”. A bug responsible for the incorrect generation of the “Air supremacy” zone, which would lead to the zone appearing far from the front line, has been fixed. Capture-identification, and all accompanying messages in the center of the screen during the capture of air zones, have been removed (only for “Enduring Confrontation” mode). A bug where AI attackers did not appear in the mission has been fixed. 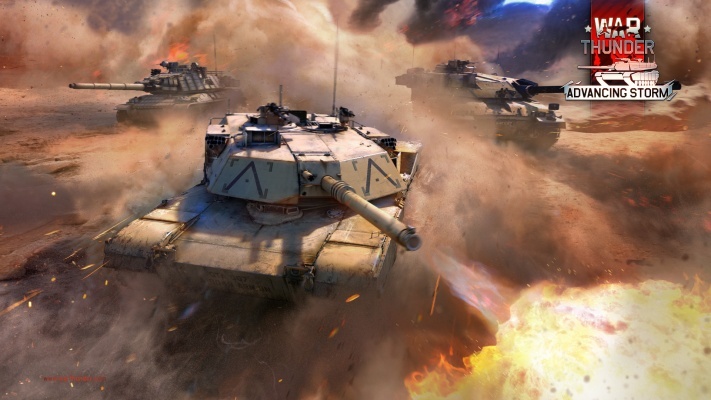 A bug where battles involving ground units in the “Zhengzhou” location could end immediately after they begin has been fixed. The colour brightness of the frontline has been reduced slightly. The mission “Air Supremacy” is now more likely to appear. MB-5 - Parameters of the automatic cooling system have been changed. Operating time on 100% WEP has been increased due to lower temperatures and wider opening of the radiator flaps. Plagis' Spitfire LF. Mk IXc - Insufficient power with the "150 octane fuel" modification has been fixed. P-61 (all modifications) - The “Engine injection” modification has been fixed. La-5/7 - A bug which causes excessive unstability and as a result a total loss of control has been fixed. SB 2M-103 MB3 and SB 2M-103U (available for purchase early)- Flight model has been updated. P-400 - A bug with insufficient engine power has been fixed. Lorraine40t/AMX-50 - The fire rate for first-order ammo racks has been changed from 9 to 15 shots per minute. Source: The Direction des Etudes et Fabrications d'Armement, Char de 40T. The reload time for first-order ammo racks has been changed from 12 to 18 seconds. AMX-50 Surbaisse - The fire rate for first-order ammo racks has been changed from 8 to 10 shots per minute. Source: Tourelle Oscillante Basse de 120 - TOB-120, Description - spécification technique, Compagnie des Ateliers et Forges de la Loire. The reload time for first-order ammo racks has been changed from 15 to 20 seconds. Object 906 - The fire rate for first-order ammo racks has been changed from 10 to 14 shots per minute. Source: M. V. Pavlov, I. V. Pavlov - “Vehicles and weapons. Yesterday, today, tomorrow” The reload time for first-order ammo racks has been changed from 10 to 17 seconds. Bug which would cause markers to partially or completely disappear in RB/SB replays has been fixed. Players can now exchange hat decoration coupons from the “Hat” trophies for Warbonds. Several Hat decoration coupons can also be exchanged for rarer ones in the workshop. Research and purchase costs for the Ho-Ri Production have been revised (old price: 610,000 SL and 220,000 RP; new price 260,000 and 95,000 RP). A number of problems related to the interruption of certain sounds during battles involving a large number of players have been fixed. The volume of explosions from aircraft striking the ground, and bombs, has been increased. The volume at which bombs whistle while falling has been increased. The volume of both allied and enemy aircraft weaponry has been increased. Engine power has been changed from 685 hp (3000 rpm) to 450 hp (2500 rpm). The weight has been changed from 30 ton to 28 tonnes. The ammunition lager for the 155mm cannon has been changed from 28 to 30 shells. The ammunition lager for the 20mm automatic cannon has been changed from 250 to 400 rounds. Vertical elevation angles of the 20mm cannon have been changed from -8/+20 to -8/+45 degrees. Vertical elevation angles of the 155mm cannon has been changed from 0/45 to -5/+67 degrees. Horizontal elevation angles of the 155mm cannon has been changed from -12/+12 to -20/+20 degrees. Source: Swedish Test of the French Lorraine 155 50 (prototype 1a), August 1950. A bug which caused the sight in ground vehicles equipped with stabilizers to twitch has been fixed. A bug where it was not possible to switch to the squad’s allied vehicles in the mission “Battle of Santa Cruz” has been fixed. A bug where on some ground vehicles the fire rate values were incorrectly displayed has been fixed. A bug where it wasn’t possible to install a decoration on the turret of the M46 has been fixed. A bug where sounds heard from spectator mode occasionally created the false sound of flying aircraft has been fixed (source). 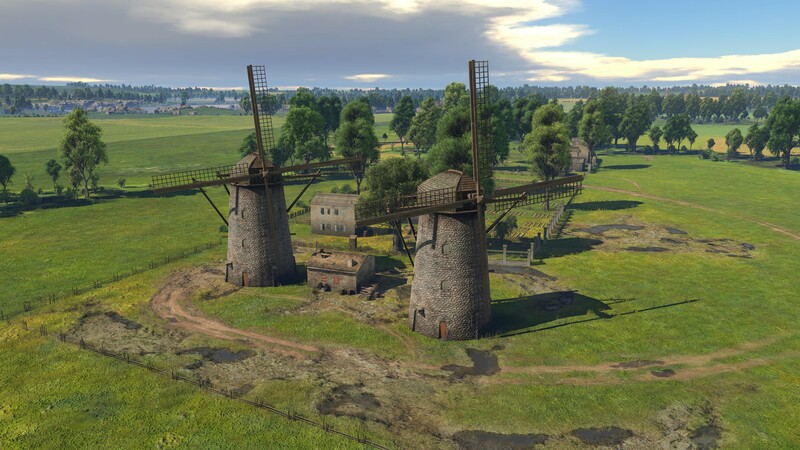 A bug related to the display of distant objects during ground battles has been fixed (source). Client Stability has been improved. A bug where user created sights did not work for vehicles that were either not researched or purchased has been fixed. A bug where camouflages for AI vehicles were not being displayed in user created mission replays has been fixed. A bug where a flipped M60 or M60A1 could still move when the transmission is set to neutral has been fixed. A bug with sniper view in a vehicle that was below the water surface has been fixed. A bug where vehicles with guns of 40mm and less were not affected by recoil if firing from a stationary position has been fixed. A bug where fighter respawn points were not displayed on the minimap has been fixed. A bug where specific ground vehicles could replenish their ammo whilst moving around in a captured zone has been fixed. When creating camo for ground vehicles, texture samples for hull, turret and gun will be created that are also stored in the .blk file. A bug where being in water whilst in a ground vehicle, it wasn’t possible to switch to the sniper view has been fixed. A bug where zoomed view was saved when changing to another view (for example: switching between sniper view and 3rd person view by using zoom) has been fixed. A bug where it wasn’t possible to remove decals from a vehicle has been fixed. A bug where the “Zoom” camera position would activate on re-spawned vehicles after being used on a previous (now destroyed) vehicle, has been fixed. 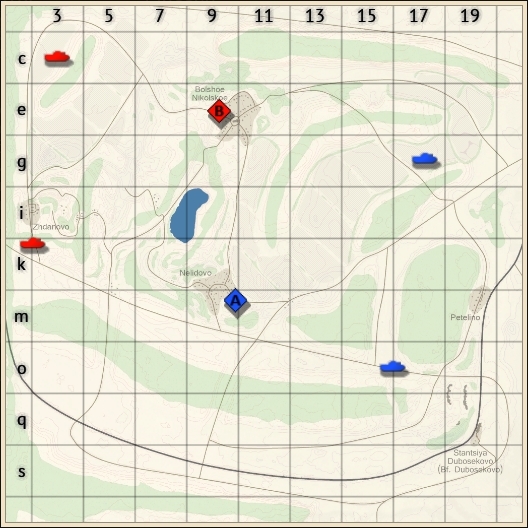 A bug which would cause the camera alignment and zoom settings to reset by activating the tactical map has been fixed. A bug where activation of the “Zoom” camera view would make it impossible to switch to the ‘sight’ view from the cockpit has been fixed. This page was last edited on 23 February 2019, at 14:34.